​Keeping your gutter system well maintained can become a difficult task. After gutters have been in place for extended periods of time, problems tend to occur that might not be immediately noticeable. The soffits and fascia that lie beneath your gutters may have sustained damage from years of sun, wind and rain. This is a fairly common occurrence, especially with older homes. It requires a fair amount of knowledge and expertise to properly correct the problem. The fascia may need to be replaced. If you're a carpenter, or have had experience completing this task, you may be able to do it yourself. If not, it's probably time to call a professional for assistance. ​You may be able to get by with a few simple fascia repairs if the damage is not too extensive. If it is beyond fixing, there is no other remedy if you want your gutter system to hold up after installation. If you have the skills and knowledge for properly assessing the extent of the problem, great. If you are not quite certain, it is best to consult with a professional who can give you an accurate assessment of the damage and make recommendations for needed fascia repair or replacement. House fascia replacement can become a bit complicated if you haven't done it before. Severe weather damage often results in the need for soffit and fascia replacement. It is best to first get an assessment of the damage. You can perform a visual inspection, but it may not tell you everything that you'll need to know. Simply installing a new gutter system will not fix the problem. Hamilton Gutter Pros serve clients in the Hamilton, Ohio area will all phases of guttering and fascia replacement or repair. It just takes a simple call to explain your concerns to get a fascia replacement cost estimator out to the home or business. You'll get a fascia replacement cost quote with a full explanation of the extent of the damage and what needs to be done to fix the problem right the first time. The integrity of your home may depend upon an accurate assessment. 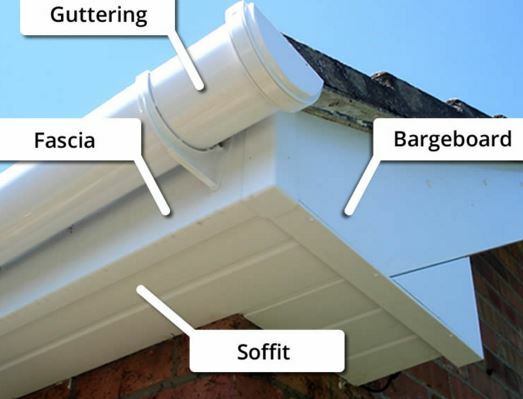 If you're having problems with your current guttering system and you suspect that your home has sustained damage to the fascia or the soffits below, calling for professional help may be your best option.